TV stand made of toulipier wood with classic style. Vulture tv stand realized in classic style, is characterized by soft and harmonious lines, the open base gives it lightness and elegance. 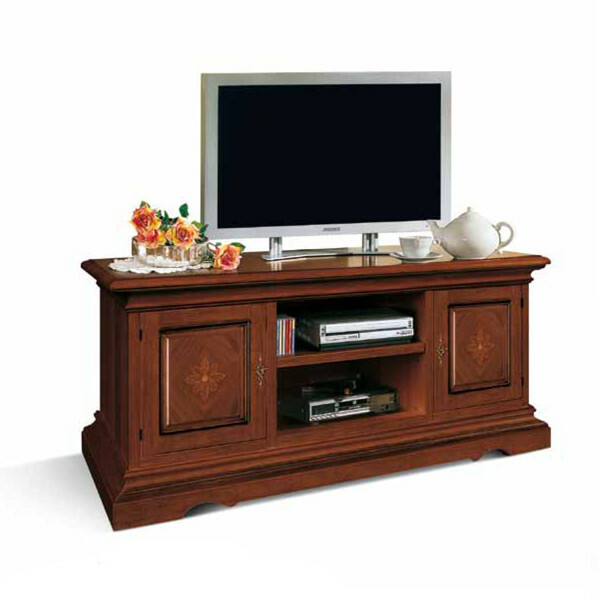 Robust tv stand, with inlaid doors, which fits very well in a classic furniture. Vulture tv stand is made of toulipier wood with classic style available in classic walnut color, complete with two doors and two open compartments.